The Hobbit: The Battle of the Five Armies is the last chapter in The Hobbit trilogy from Peter Jackson. The film doesn't arrive until mid-December and we've already got our first photo! 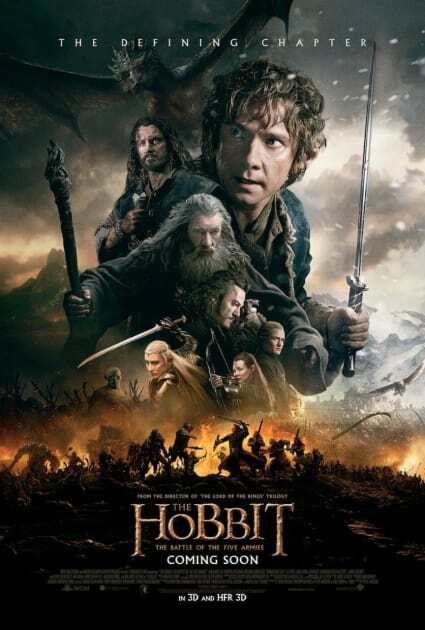 Ian McKellen returns as Gandalf and Martin Freeman is back for his final go as Bilbo as the unlikely band of warriors do their best to defeat the evil dragon Smaug (Benedict Cumberbatch). Click through and enjoy our photos from The Hobbit: The Battle of the Five Armies. From the look on his face, what Gandalf is seeing is not so good. The dwarves gather... for what we cannot say because it would be a spoiler! One of those five armies of the title, is filled with Orcs. Those ugly bastards! 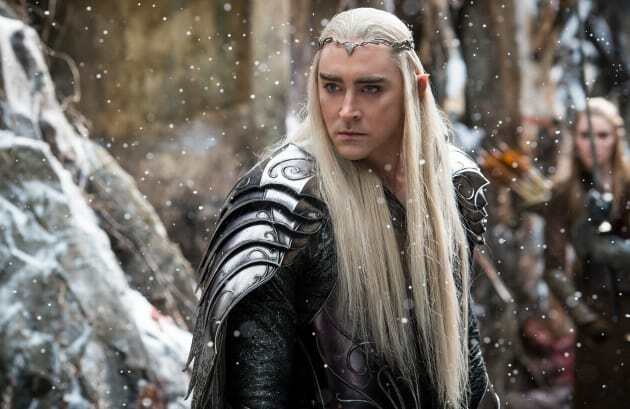 Lee Pace rules as the Elvan king in The Hobbit: The Battle of the Five Armies. The king of the dwarves has a moment with a little guy with a big heart named Bilbo. The international poster for The Hobbit: The Battle of the Five Armies has to be the best... it has everybody! The Hobbit The Battle of the Five Armies First Photo: Gandalf Fights! The Hobbit The Battle of the Five Armies Poster: Revealed! The Hobbit Battle of the Five Armies Teaser! The Hobbit The Battle of the Five Armies Photos: Luke Evans Ready for War! The Hobbit The Battle of the Five Armies: Legolas & Bard Posters Premiere! The Hobbit The Battle of the Five Armies Poster Rush Continues: Gandalf Down! The Hobbit The Battle of the Five Armies Poster Revealed: The Gang’s All Here! The Hobbit Meets The Office: Watch SNL Skit Now! The Hobbit The Battle of the Five Armies DVD: Details Released!